Aside from the exceptions listed below, we gather on Sundays at 8:30am and 11:00am with Sunday School at 9:45am. On these dates in 2019 we will gather at 10:00am and have a single Sunday worship service, no Sunday School. June 16 - August 18 (inclusive) worship at 10:00am with special Christian Education Activities after worship for c. 30 minutes. Click here to see our full church calendar. To worship and glorify God, and with God’s help, make disciples, serve others, and love all creation. Welcome to Carolina Beach Presbyterian Church! Come and join us for any of our worship services or special events! Inside our church and outside its walls, there are plenty of opportunities to serve our community. We welcome babies, children, and nursing mothers, and we offer opportunities for children to grow in faith. 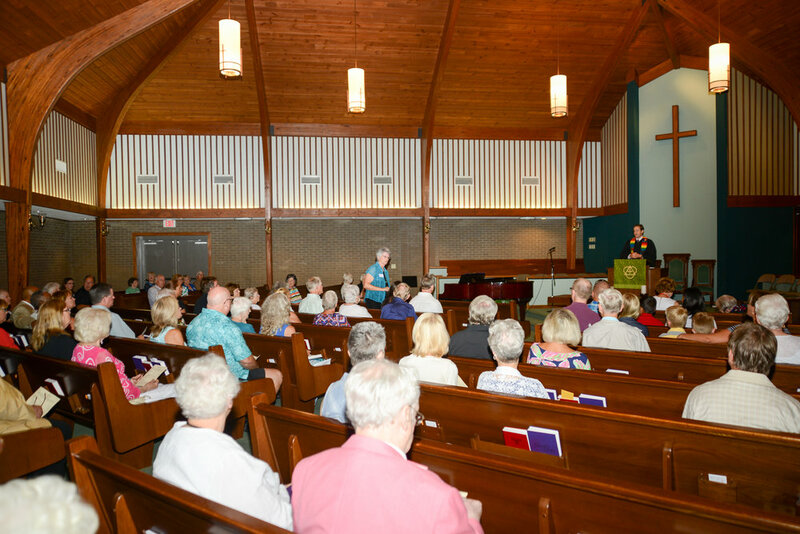 Carolina Beach Presbyterian Church is a welcoming, inclusive, and caring faith family called by God from diverse backgrounds. Our congregation appreciates worship based on Biblical truths and the Reformed Presbyterian Tradition. Areas of particular interest include music programs, quality Christian education, both local and global missions and meaningful fellowship.